Your house may have been the perfect size when you bought it. But now you need more room. Instead of selling your house or hiring a contractor to build an addition, consider a more cost effective solution: basement renovation by Erix Home Improvement LLC. Think of your basement as a diamond in the rough. It has walls, a ceiling, and a floor. Now, all you need is the wow. Call (240) 207-1192 to find out how you can transform your basement from a cold concrete jungle to a show-stopping game room, in-law suite, workout area, and more. Erix Home Improvement LLC has been remodeling basements since 2012. Our innovative designers will help you get started on creating the room of your dreams. If your living room looks more like "Romper Room," why not build a playroom for the kids downstairs? Add a dedicated craft or hobby area for budding artists. If you're looking for entertaining space, consider adding a home theater with surround sound, a billiard or game room, a martini bar, wine cellar, or man cave. Maybe you need to accommodate teens, adult children, or aging parents by adding a bedroom, complete with private bath. Whatever your needs, Erix Home Improvement LLC will work with your ideas and within your budget to create the perfect getaway space for your family. We've been in in the basement renovation business since 2012. Your basement can be so much more than a place to store things you rarely use. In can add functional space for your family. Whether you need space for fun, for work, or for working out, Erix Home Improvement LLC can make it happen. Erix Home Improvement LLC will take your ideas and create a working design. From there, we will work within your budget to build your room with quality materials. Our basement remodeling contractors include a highly skilled staff of carpenters, electricians, and plumbers to handle any size basement renovation project. Erix Home Improvement LLC will add all the finishing touches to make your room fabulous. From painting, flooring selection and installation, insulation, lighting, heating, plumbing, and any finish carpentry work, we will professionally complete your basement remodeling job so you will be happy for years to come. Call (240) 207-1192 to get started on turning your unfinished basement into added living space for your family that you'll want to show off. 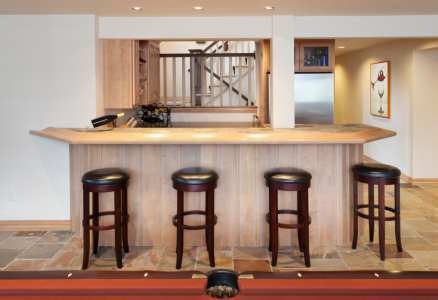 Let Erix Home Improvement LLC reveal your basement’s hidden potential. Don’t look for a new house; reinvent the space that’s already there. Renovating your basement is a good investment that will increase the value of your home and improve the quality of your life. Create your own personal comfort zone in the privacy of your own house. Erix Home Improvement LLC has been in the home improvement business for 7 years, specializing in renovating basements and making dreams come true.